SouthEast Edmonton Plumbers - About Us! Quality plumbing is a service that we all rely on. Having those experienced in this specialized service bringing you the results you need, when you need them has always been important. In the south-east Edmonton area, there’s one company that has always been there as the source of providing high-quality plumbing offerings for the city, and that’s SouthEast Edmonton Plumbers. We have been bringing the city services of all plumbing types for many years now, and know what it takes to bring you the results you’re looking for. Whether in your kitchen, bathroom, for your water heater, or otherwise, you can rely on our experts to bring you the best. 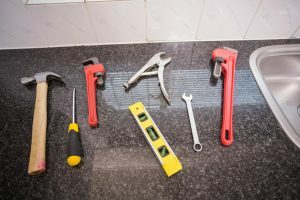 We understand that you have your options laid out for you when it comes to plumbing options, and unfortunately the level of quality can shift greatly between them all. When looking for the best possible plumbers to fulfill your service needs, you have to have the combination of experience and skill. This comes from years of dedicated service to the city, and is one of the key features in the offerings we bring to SouthEast Edmonton. When you’re looking for a plumbing company that brings you more than the standard quality, you need to pick up the phone and call into SouthEast Edmonton Plumbers. We are ready and waiting at all points in the day to ensure that you have the access you need to high quality plumbing, and the solution to any of your problems.